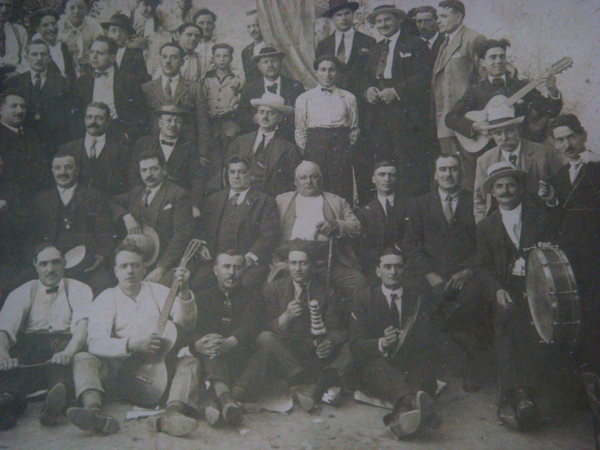 When designing the inside of the book, we decided that the photos were most intriguing when used as old family b&w photos. In the right hand margin you’ll notice the calendar day and date that identifies the particular day that chapter is about. 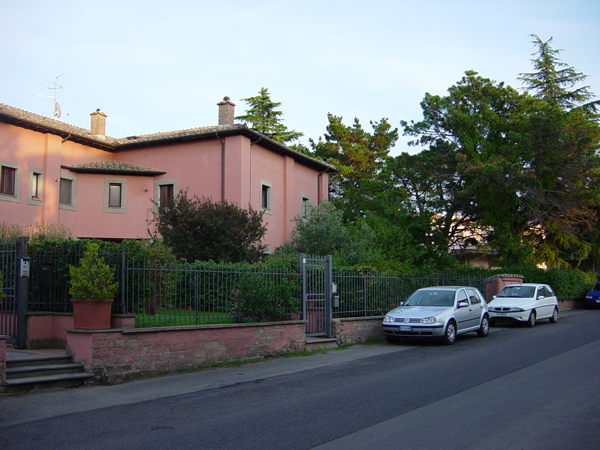 Of course, the color versions provide a certain tone and so here are the original color versions (several originals I did shoot in b&w) of the photos I took while in Viterbo, August 2005. 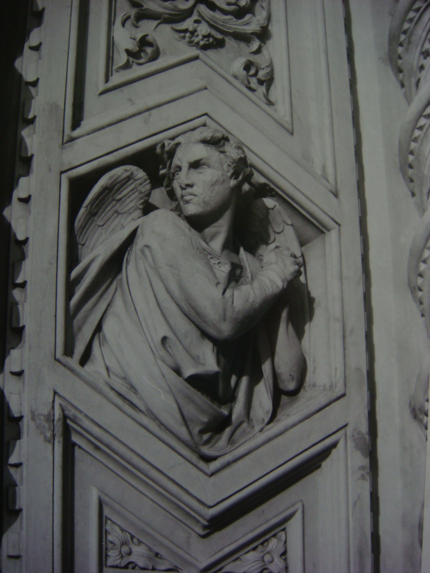 Prologue- This is the angel that I was photographing on 9/11 when the UNICEF woman approached. 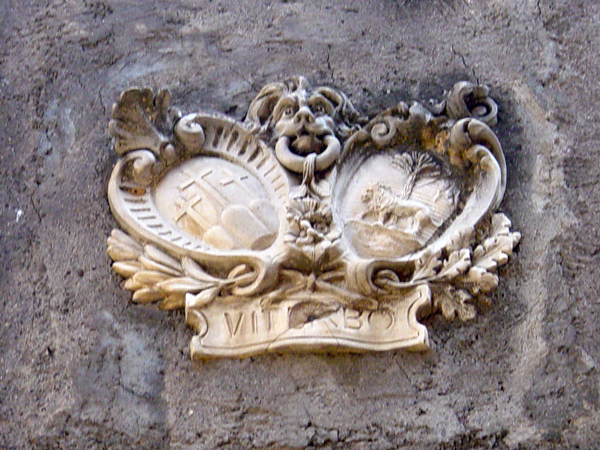 Day 1- Viterbo Crest. 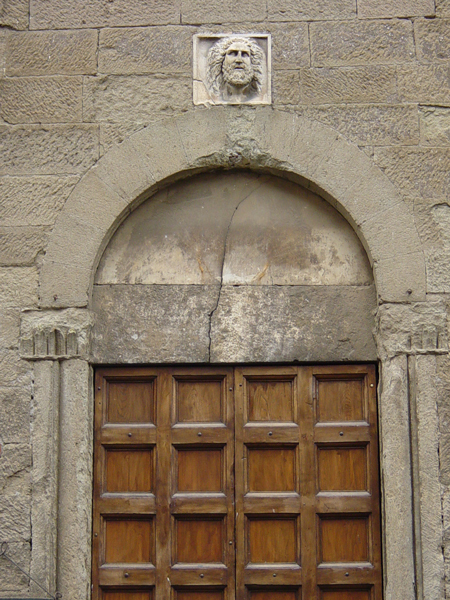 Mounted in a piazza wall opposite the Cathedral of San Lorenzo. Day 5 Photo- on the street outside of the home I lived in. 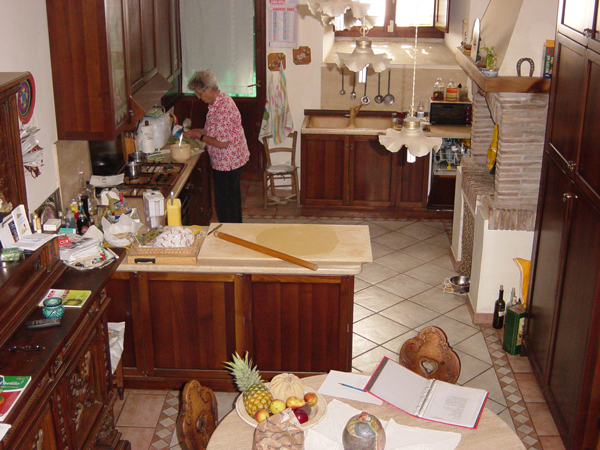 Day 6 Photo- Nonna's cooking labratory and classroom (the kitchen!). 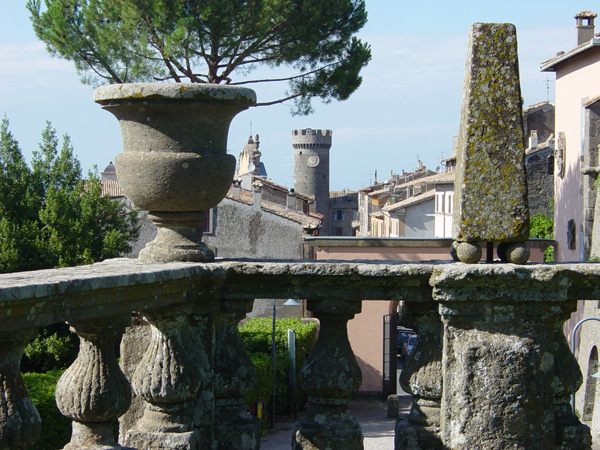 Day 8 Photo- looking over a railing at Villa Lante toward the clock tower in Bagnaia. 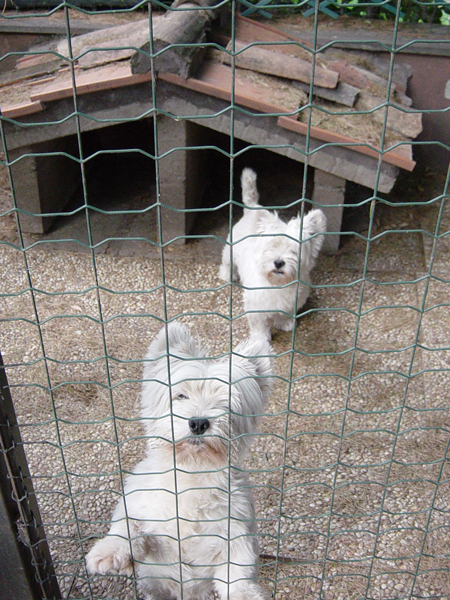 Day 9 Photo-Crazy and Cochise. Please tell me which is which! 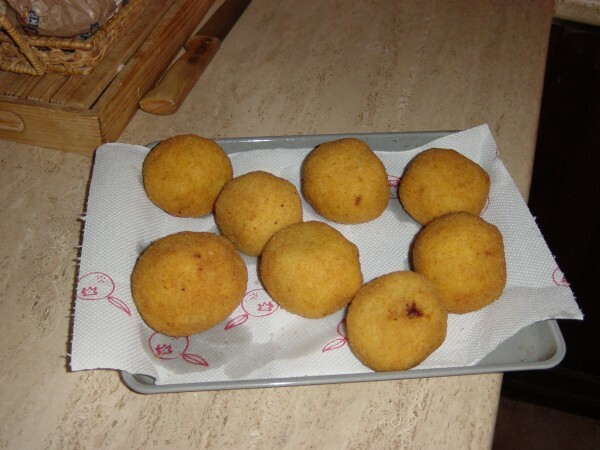 Day 10 Photo- Arancini. 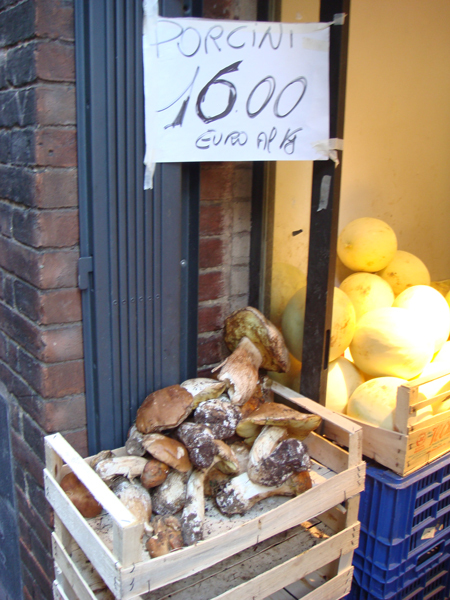 Can you tell why they are called "little oranges?" 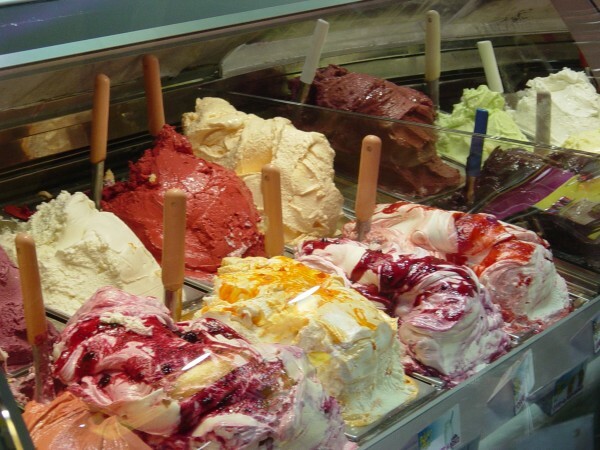 Day 11 Photo- Mi piace gelato molto! 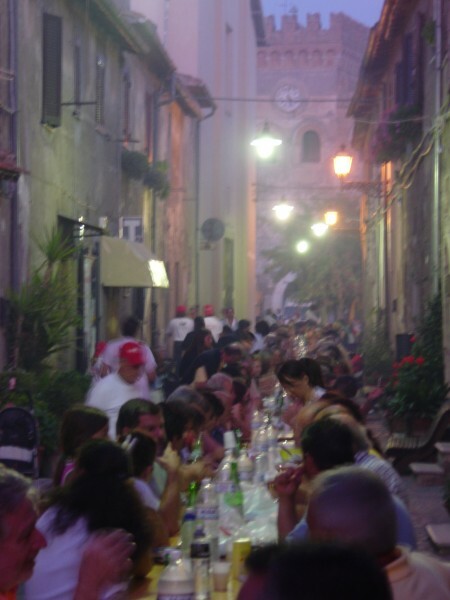 Day 12 Photo- where to find the best "pizza bianca" on the planet! 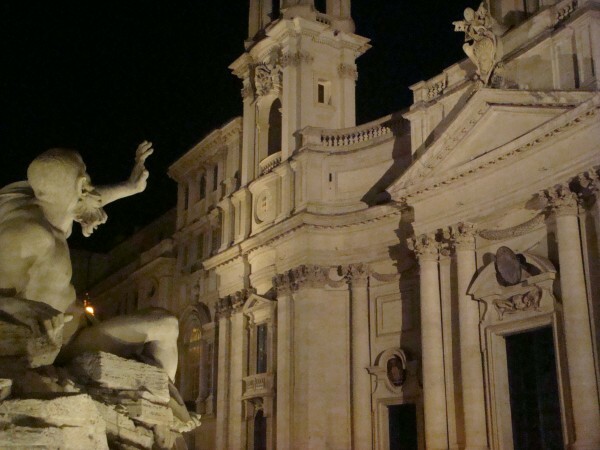 Day 13 Photo- the Bernini fountain in Piazza Navona. 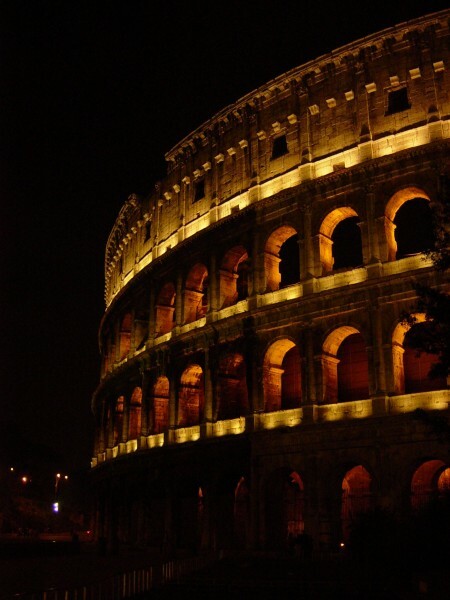 Day 14 Photo- the Colosseum at night. 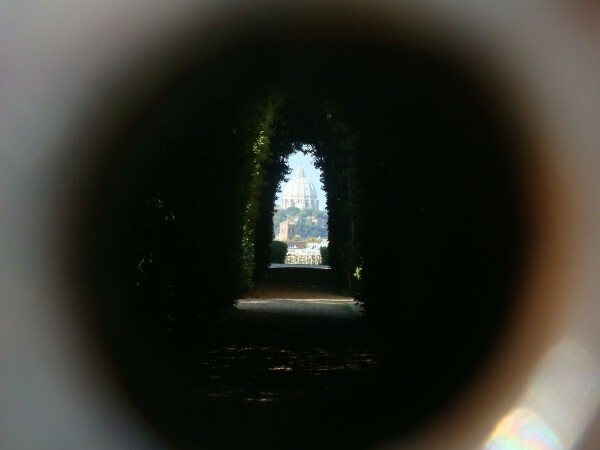 Day 15 Photo- looking through the keyhole at Saint Peter's. Day 16 Photo- looking down the long table. 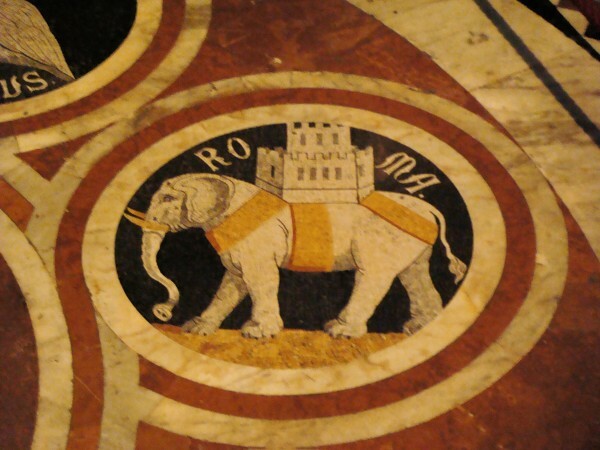 Day 17 Photo- the symbol of the "Torre" contrada, Siena. 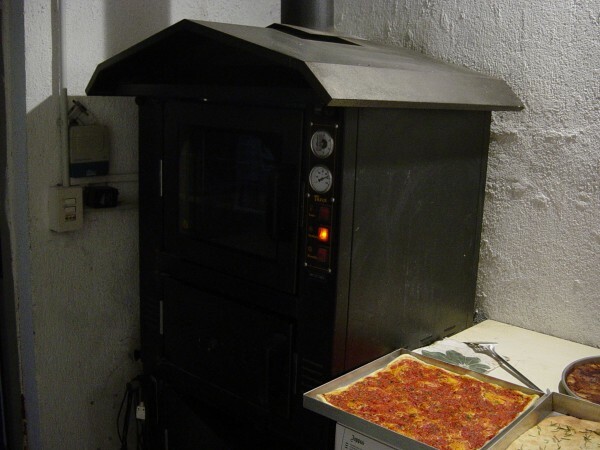 Day 18 Photo- the pizza oven at Anna & Giulio's. 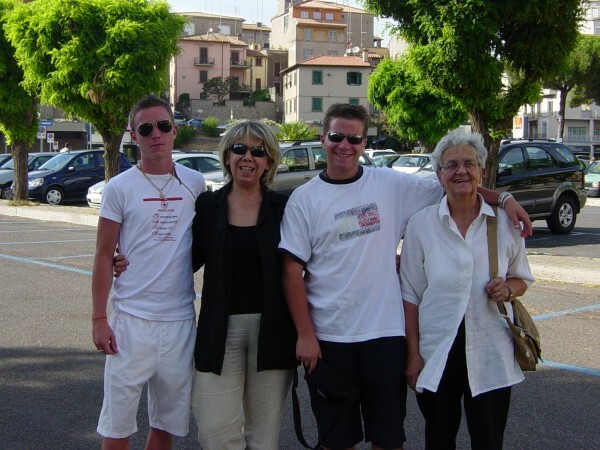 Day 19 Photo- Jimmy, Alessandra, Nicola, Nonna in Viterbo. 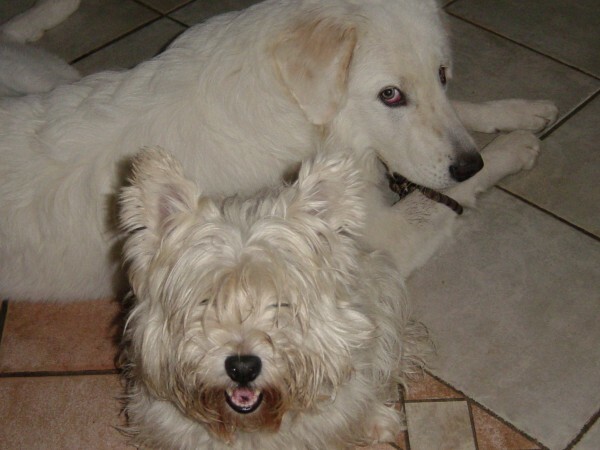 Day 20 Photo- Brighitta and Tequila. 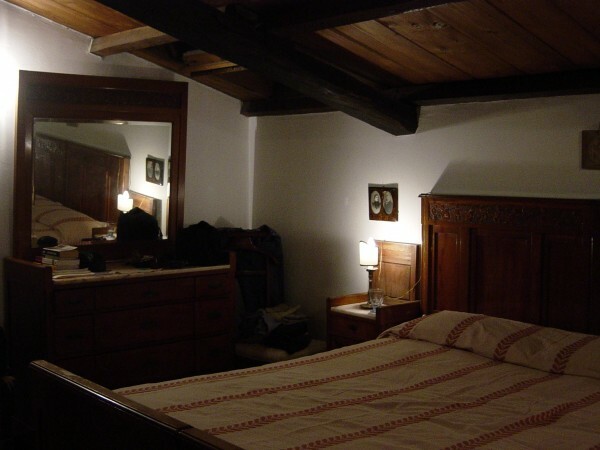 Day 21 Photo- my bedroom on the 3rd floor. 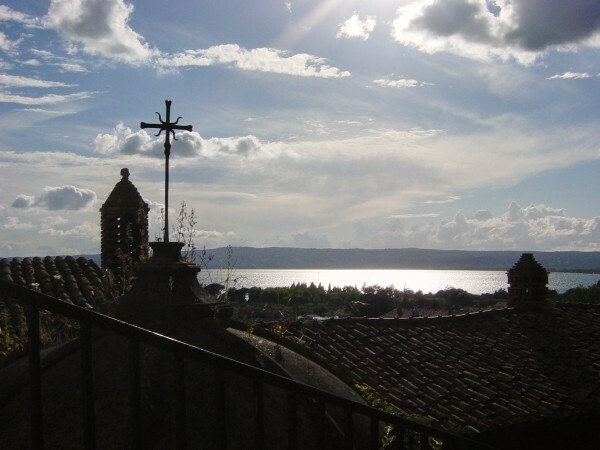 Day 22 Photo- overlooking Bolsena rooftops onto "Lago di Bolsena." 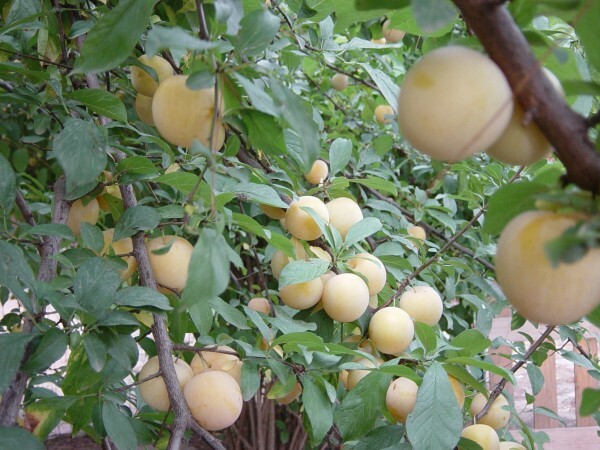 Day 23 Photo- the trees laden with plums in the backyard. 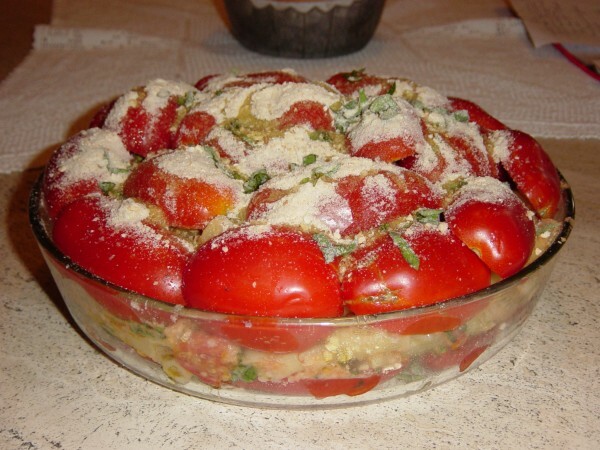 Day 24 Photo- "Pasta al Forno Pugliese" before being baked. Day 25 Photo- Marianna giving the peace sign with her friend Silvia. 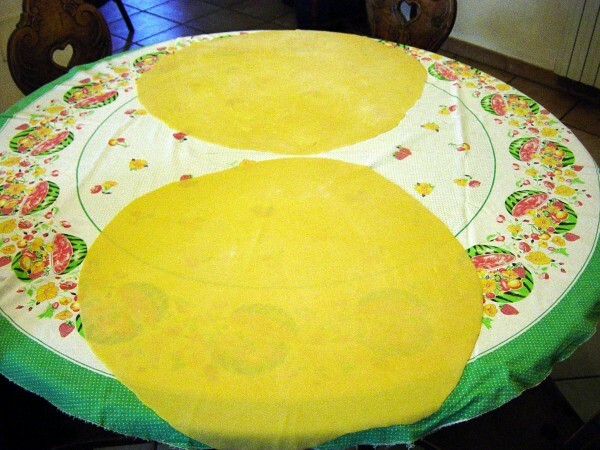 Day 26 Photo- Alessandra rolled out the pasta thin enough to see the tablecloth through it. 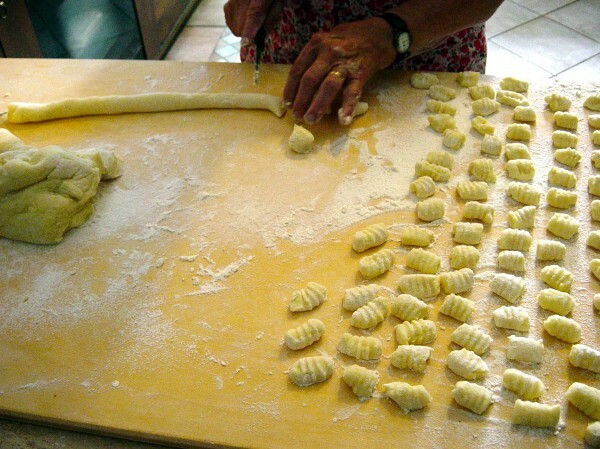 Day 27 Photo- Nonna making potato gnocchi. 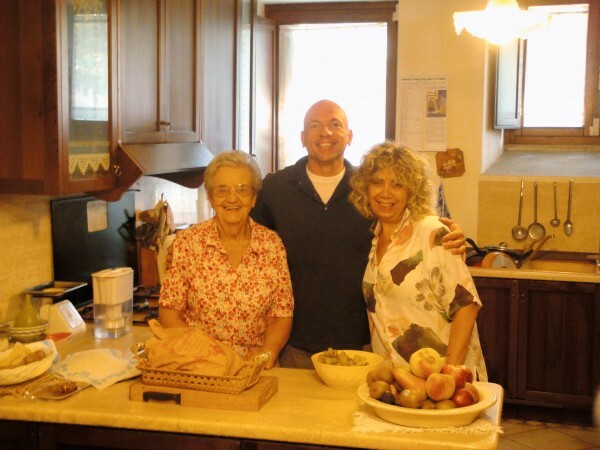 Day 28 Photo- Nonna, me, and Alessandra in the kitchen. 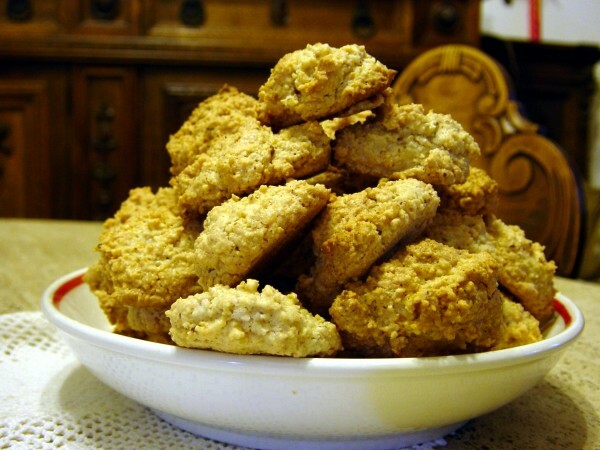 Monday August 29 Photo- the 3rd and final attempt at amaretti cookies. 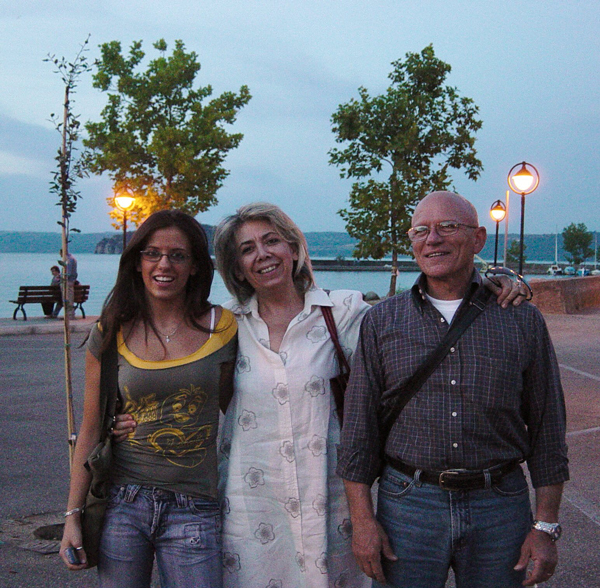 Epilogo Photo- Lillo & Alessandra with their first grandchild (Marianna's daughter).